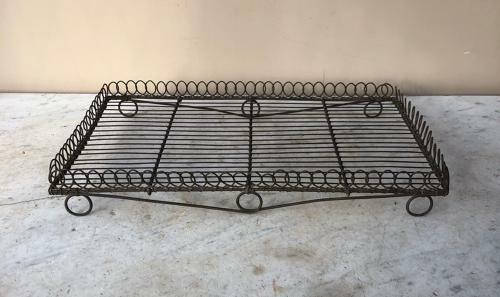 The nicest I have had recently...wonderful condition Late Victorian Wire Work Cake Cooling Rack or Tray with lovely loop edging. The loop edging looks so pretty but also stops anything falling off. Raised on pretty legs. Very sturdy piece.